The iPhone 7 release is still fresh and we can’t help but wonder what the next iPhone might look like. While there are ample of rumors and leaks surfacing, we can never be too sure what features and design novelty is the company implementing. 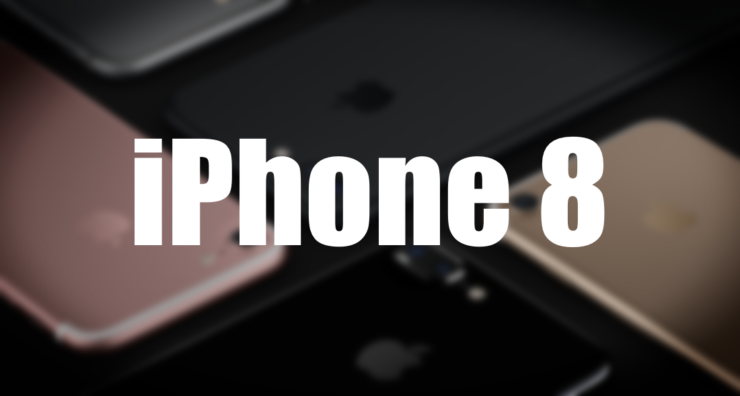 However, well know KGI Securities analyst Ming Chi Kuo released a new research report detailing what we can further expect from the iPhone-maker in 2017. Let’s see some more details on the report and what changes will be part of the iPhone 8. The report includes a new biometric authentication technology which will be different in terms of design for various reasons. For one, the new design in biometric authentication technology will provide a suitable structural support taking into account the flexible OLED panel with 3D Touch capability in the upcoming iPhone 8. Apart from this, the analyst also believes that the Cupertino giant is also in works to develop a new Touch ID technology for its 2017 iPhone. There are reasons why Apple is considering a change, its mainly due “to complement its full-screen (zero bezel) form factor design and to enhance transactions security”. As per the analyst, the current under glass design of the Touch ID sensor does not meet the adequate requirements of a full-screen design form factor. Henceforth, there is a need for an “under panel”. Apple may switch to a film sensor from the current FPCB sensor in order to provide better 3D Touch user experience, as a film sensor offers higher sensitivity. Also, we expect the new OLED iPhone will come with a flexible OLED panel. To avoid deforming the form factor of the flexible OLED panel from touch operation pressure, a metal structural part will be placed under the film sensor to provide more robust structural support. Due to this reason, Kuo believes that Apple will add an optical-type system instead of a capacitive-type. In addition to this, the KGI analyst also believes that Apple will replace Touch ID recognition with the facial recognition system. Although we can not be sure, but the latter would definitely provide enhanced security. Nonetheless, Apple can also implement both if there are too many technical challenges, according to Kuo. This year’s iPhone 8 is expected to come with a radical design change with an embedded home button and an edge-to-edge display. The upcoming iPhone is expected to be enclosed in a glass body and will most probably come with wireless charging. Nonetheless, there’s still time for the device to be announced so we will probably adhere to more details on the device in the near future. This is it for now, folks. What are your thoughts on Apple exploring two-step Touch ID and Facial recognition system in iPhone 8? Share your thoughts with us in the comments.